The trade war between the U.S., China, EU and other countries has been heating up for a few months now. A trade war will likely help China. China will fight back vigorously if it keeps escalating. China has a nuclear option they haven’t used yet. In spite of these revelations and a host of others, the Trump Administration still insists on pursuing these protectionist measures. But that stubborn insistence may now be harboring new consequences. 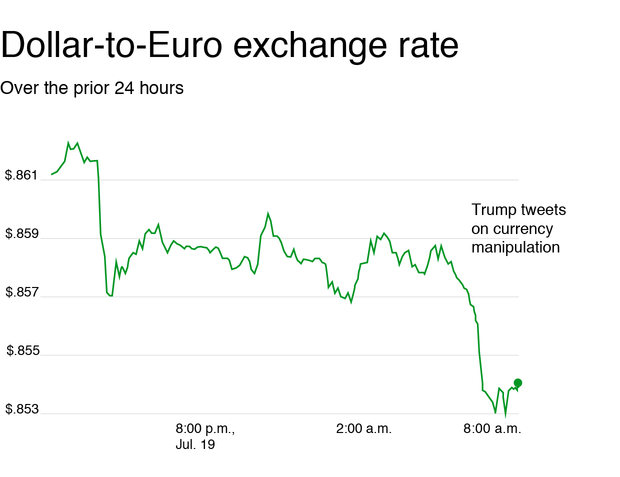 It appears the trade war is entering a dangerous new phase in the form of a currency war. It looks like the dollar is weakening, so it seems that whatever the EU and China are doing is starting to work. When you poke a bear through the cage long enough, that bear will eventually lash out. It looks like the U.S. agitated the “bear” long enough for it to bite. As the world’s largest economies open up a new front in their increasingly acrimonious game of brinkmanship, the consequences could be dire — and ripple far beyond the U.S. and Chinese currencies. 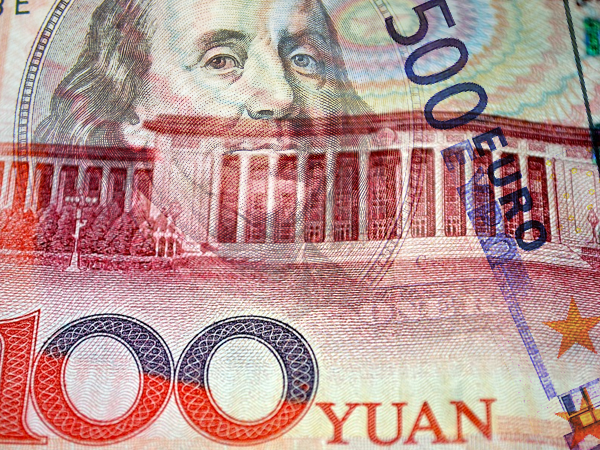 Everything from equities to oil to emerging-market assets are in danger of becoming collateral damage as the current global financial order is assailed from Beijing to Washington. Even top-ranked currency strategist Jens Nordvig thinks “broad-based unravelling of the global trade and currency cooperation” is at risk because of this development. This could be proof once and for all that the U.S. dollar may in fact be the victim of its own success. The ripple effects of these currency war escalations include market panic, a weakening dollar, and rising oil prices, among other things. But most importantly, if the U.S. loses control of global trade because the dollar is no longer central reserve currency, the results could be dire for the economy. And on cue, the yuan is weakening, prompting examination by the U.S. for currency manipulation. It begs the question, is all of this the beginning of the end for the dollar? And if so, is this a big sign the U.S. may be heading for recession? These trade tensions didn’t just start yesterday. In fact, they’ve been brewing since 2015. Plus, other global competitors like the EU seem to be following China’s lead. Don’t let your portfolio become “currency war collateral.” U.S. protectionism seems to be backfiring, and China won’t be letting up any time soon. Put some “currency cushion” in your portfolio before your retirement has a hard landing.